The New Netherland Institute (NNI), the center of New Netherland scholarship for over four decades, and Cornell University Press will now work together to publish books on the seventeenth-century Dutch colony and its legacy. Collaboration on potential projects is expected to begin in the spring of 2018. According to an announcement sent to the press, the two institutions will collaborate in identifying promising book projects, will share expertise in the vetting and development of the works, and will pool financial resources. Every book published under this new agreement is expected to bear the name and logo of both NNI and the Press, and each book appear as an e-book as well as in traditional print formats. The agreement not only enhances the early American offerings of Cornell University Press but signals a new stage in NNI’s development. For more than four decades, the New Netherland Institute — an independent, non-profit, non-governmental organization — and its affiliates have helped shed light on the long-neglected history of the settlements that laid the foundation for much of today’s mid-Atlantic region. 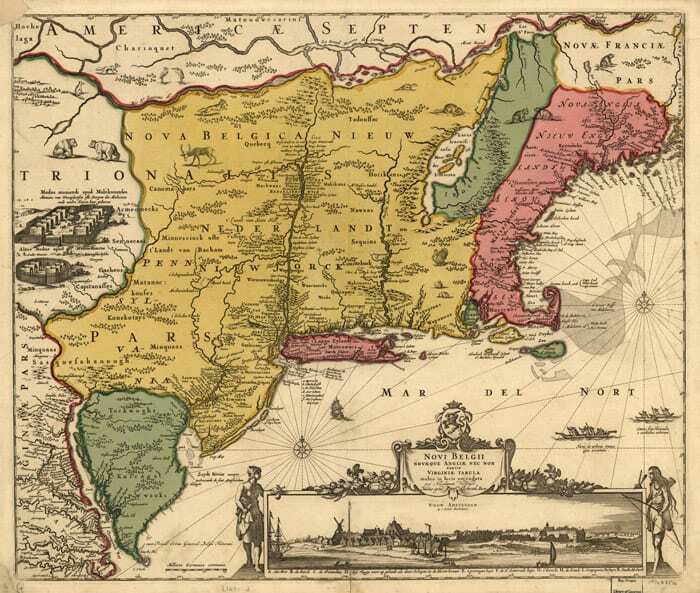 NNI supports the New Netherland Research Center in partnership with the New York State Office of Cultural Education, the parent agency of the State Library and State Archives. Photo of New Netherland Institute.